UPDATE! I removed the security feature so you won't be prompted for a password anymore. Also, I updated some of the pictures, as well as changed the pictures for du, hu, ru. There are 100 pictures to teach 100 syllables. I teach my students to say the picture once, then the syllable once. The goal is that they will be able to say the picture and the syllable on their own, and then eventually the syllable without the picture. 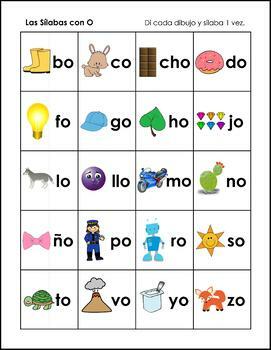 This system can be used in combination with teaching the students to blend sounds to make a syllable. The pictures help the students remember the syllable better, improve their reading fluency, and are self-checking! 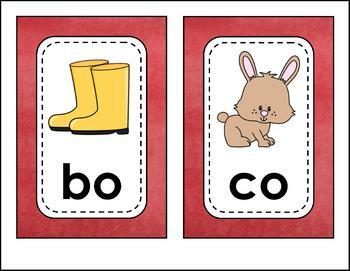 These cards are especially helpful to struggling learners who have difficulty remembering individual syllables. There are 3 different kinds of teacher cards to choose from: sparkly, polka dot curved edges, and polka dot straight edges. There are 3 different kinds of student cards to choose from: color borders, white borders with lines, and white borders with no lines for easy cutting on a paper cutter. 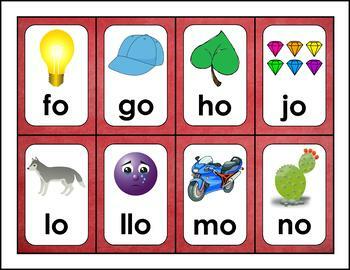 The cards are color coded to help students differentiate between the vowel sounds. However the cards can be combined into groups of similar consonants or similar vowels, depending on how you teach the syllables. 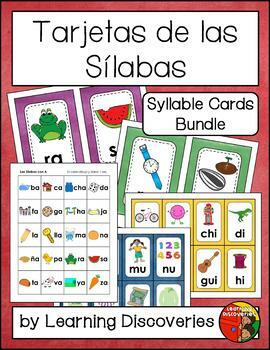 There are 77 unique pages of syllable cards that you will print. I didn't include all the different choices, the labels, or idea pages. In all, there are a lot more pages, but you won't be printing all of them.